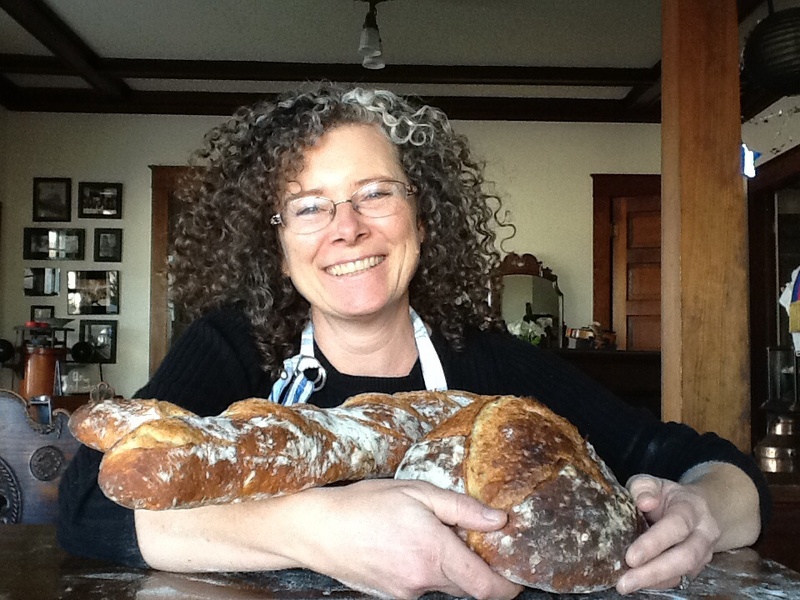 I'm considering signing up for the SFBI's 5-day sourdough workshop. Has anybody taken this, or other, SFBI classes? Is it worth the time and money? Recommendations? Several TFL members have taken SFBI workshops, including the one you are thinking about attending. I took it a few years ago. I think it is very worthwhile. For me, as a home baker, the contact with the instructor - an outstanding teacher - as well as the other home bakers and some very experienced professionals among my classmates was priceless. It's not about information. That you can get from books. It's about seeing dough handling masters do it, and having them available to provide instant feedback on your own skills. It's about conducting some experiments varying formulas and tasting the differences the changes make. For the home baker, it is also a rare opportunity to use the equipment professional bakers get to play with - mixers, loaders, steam injected deck ovens, etc. If you have any other questions, please ask. Hopefully, other TFL members who have taken this workshop will also share their perspectives with you. Thank you so much! Your blog posts really give a sense of what happens each day. Cathy, if baking makes you this happy, you must go for it! You're sure to learn loads. Hands-on training can takes years off learning by trial/error. What a gorgeous photo! Baking does make me happy! dmsnyder: You're familiar with Larraburu et al., the S.F. sourdoughs from back in the day. Did any of the sourdoughs they baked at SFBI come close in your judgement to replicating those old-school breads including Parisian, Toscana, Colombo, etc.? If the answer is "yes", what technique was used to make it authentic? I had Larraburu's sourdough only a few times, and that was long ago. When I had SFSD in the 50's and 60's, it was almost always Parisian. None of the SFBI breads were close to that style of very sour sourdoughs. have fun...(and check out airbnb for lodging if you are inclined to save a few $$$ - there are maybe 4-5 places within a few miles of SFB)I. Excellent idea! I also appreciated your write-up of the two classes. I took fundamentals of bread baking at King Arthur last year, which sounds very similar to the SFBI level I class. Thanks! I have taken only one class at SFBI - the 5 day basics class this January. It was well worth the time and the money and I agree with David's comments completely. I think that they may have changed some of the classes so I do recommend that you call Laura at SFBI and ask her to send you the syllabus. It will give you a really good sense of what the class will cover. It may also be that you are required to take the basics class before the sourdough class. (I had wanted the sourdough but SFBI felt that I needed to do the basics - and even though I was disappointed, I really learned alot). Although I didn't blog, I do have photos - I just can't figure out how to post them here!